Home / STORE / Father Christmas / Silky Santa. 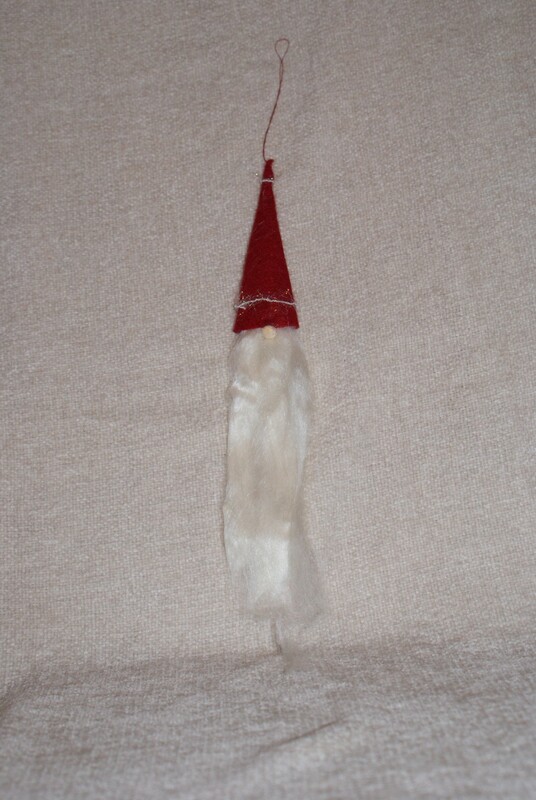 This adorable soft Santa hangs on a fine thread from the tip of his hat which is made of red felt decorated with fine sparkling thread. 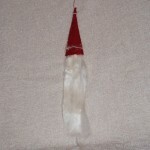 He has a wooden nose which pokes out from under his hat with a mass of silky ( Tussarh silk) beard. He is approx 25cm high.